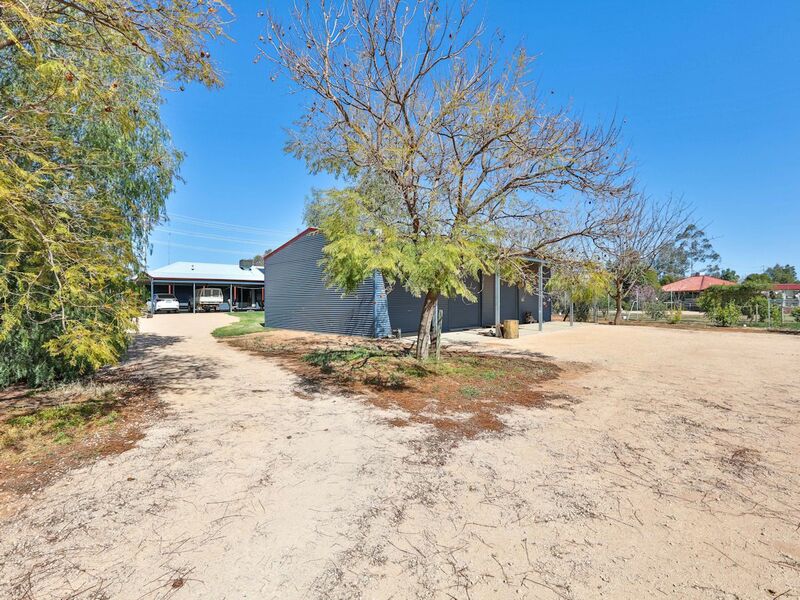 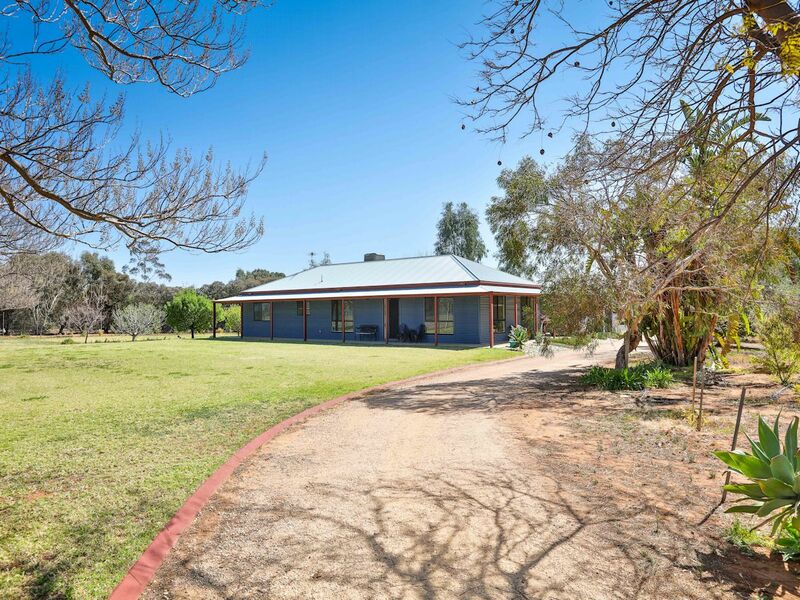 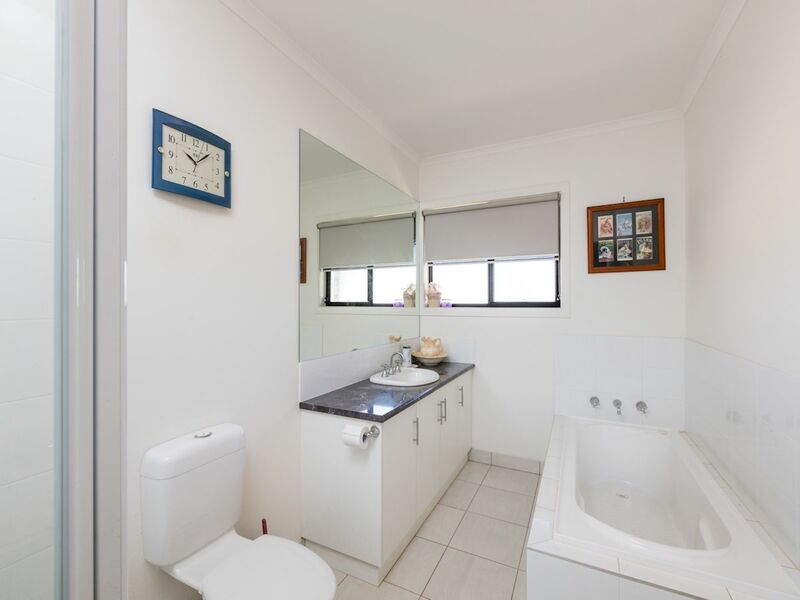 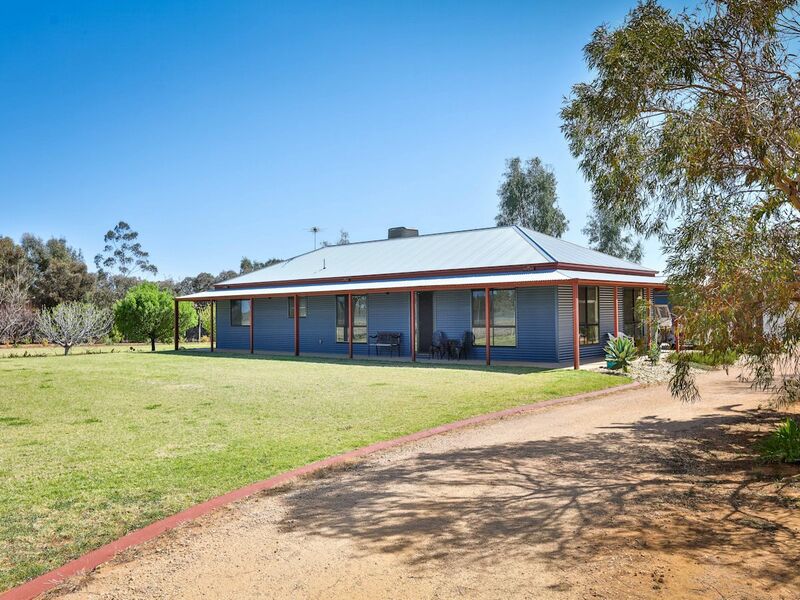 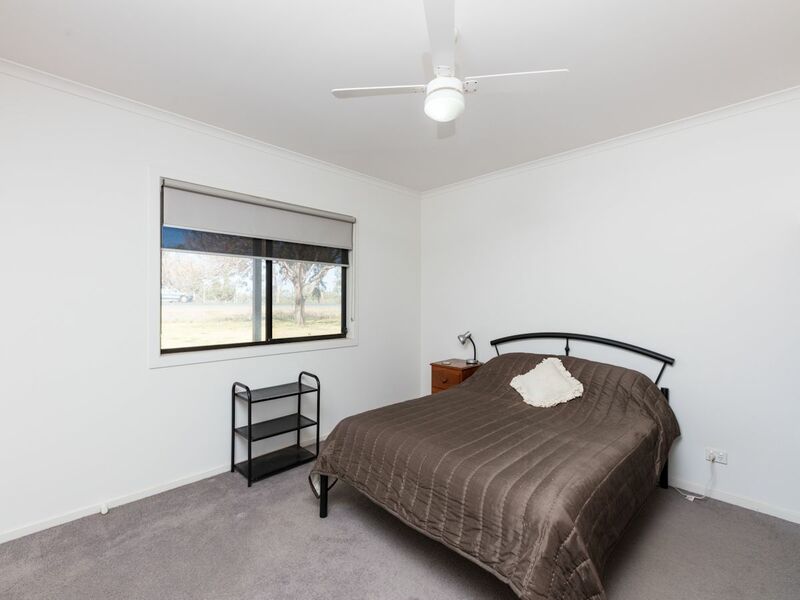 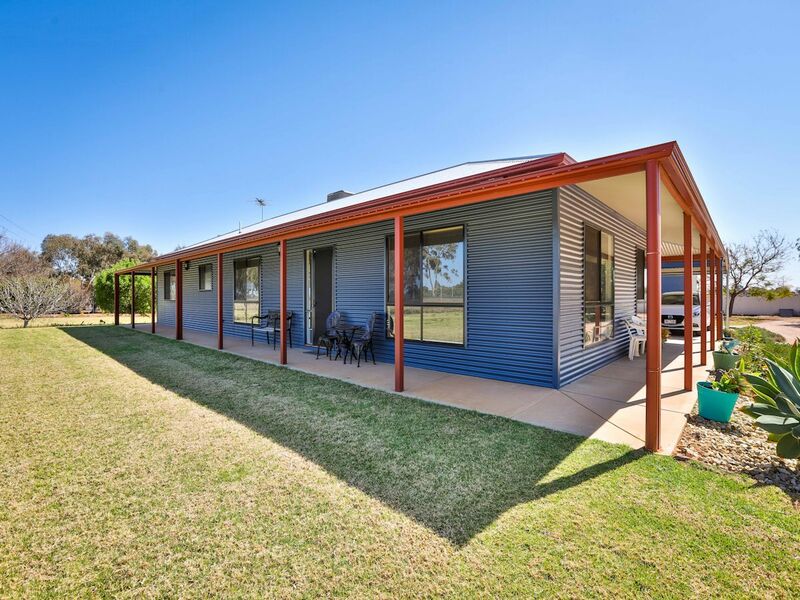 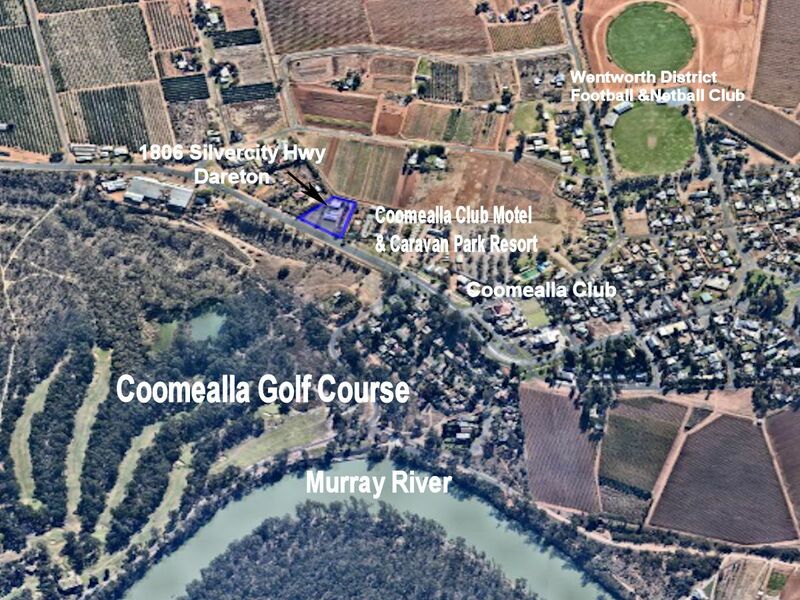 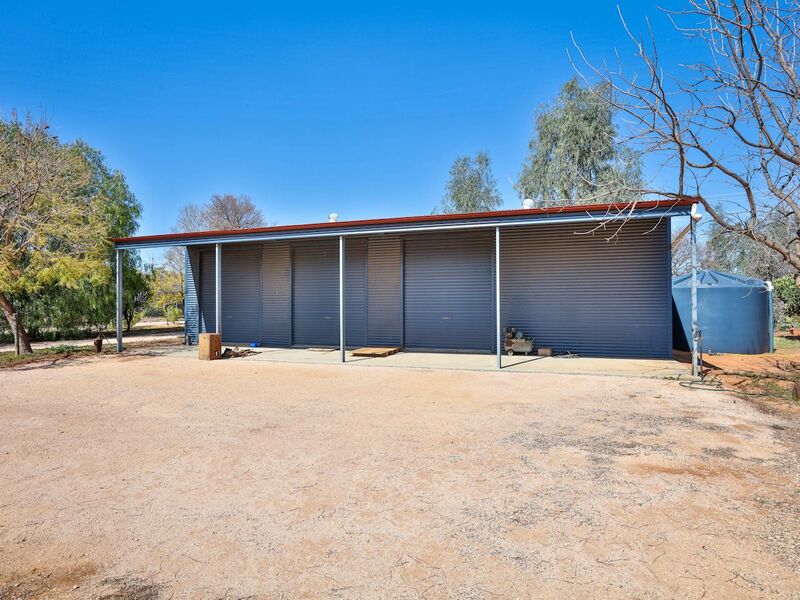 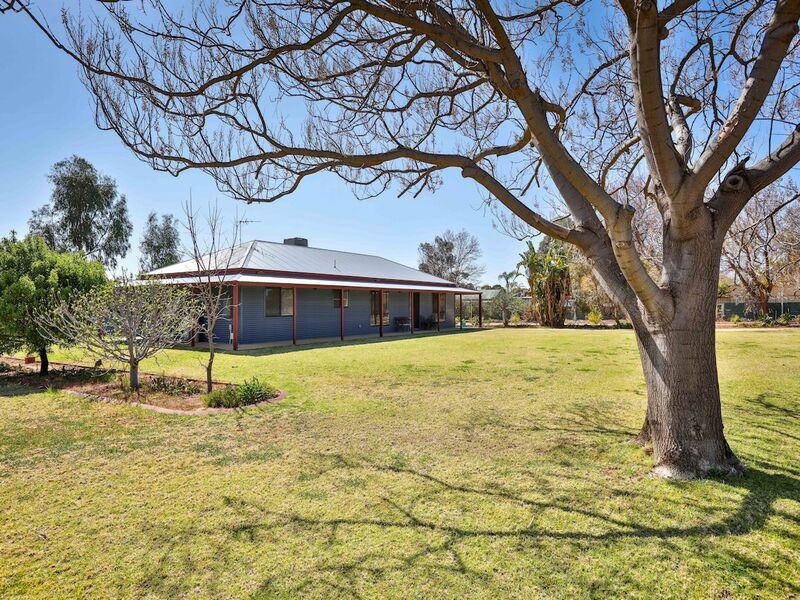 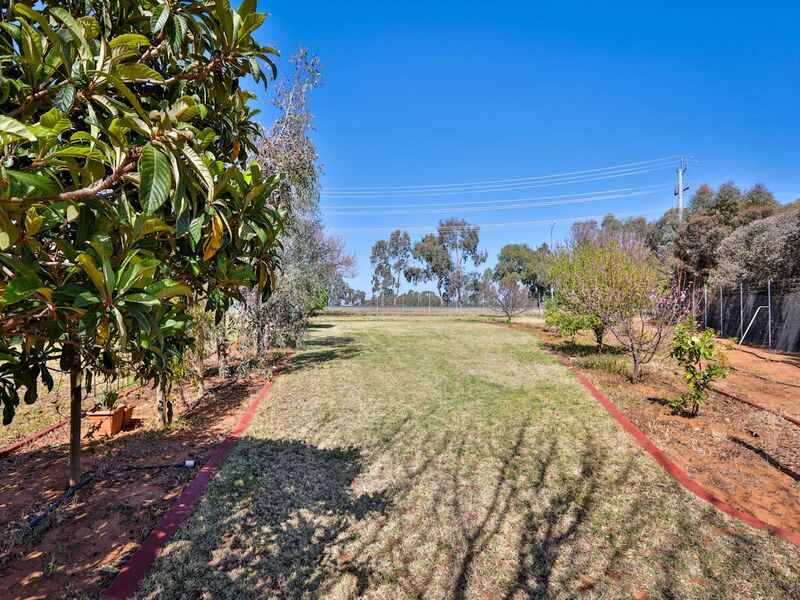 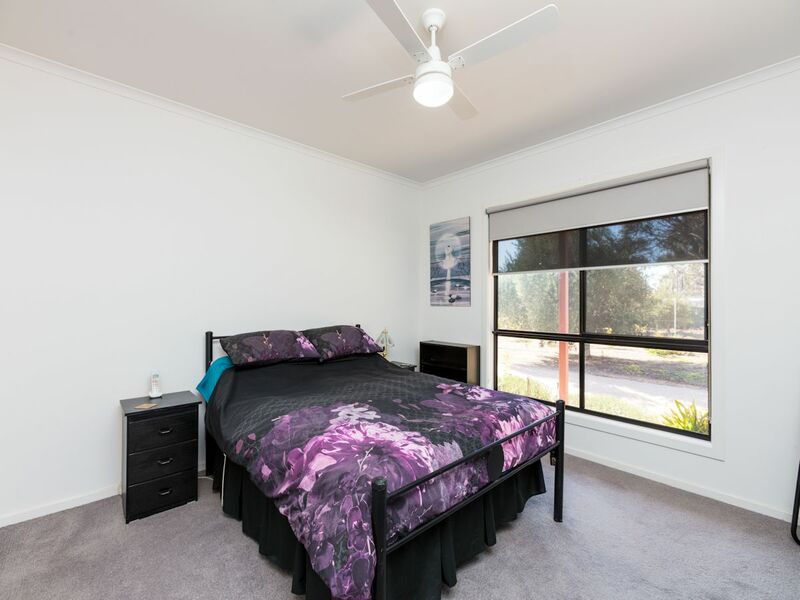 A short stroll to the Coomealla Club, Golf Course, & the Murray River is this beautifully presented as new home. 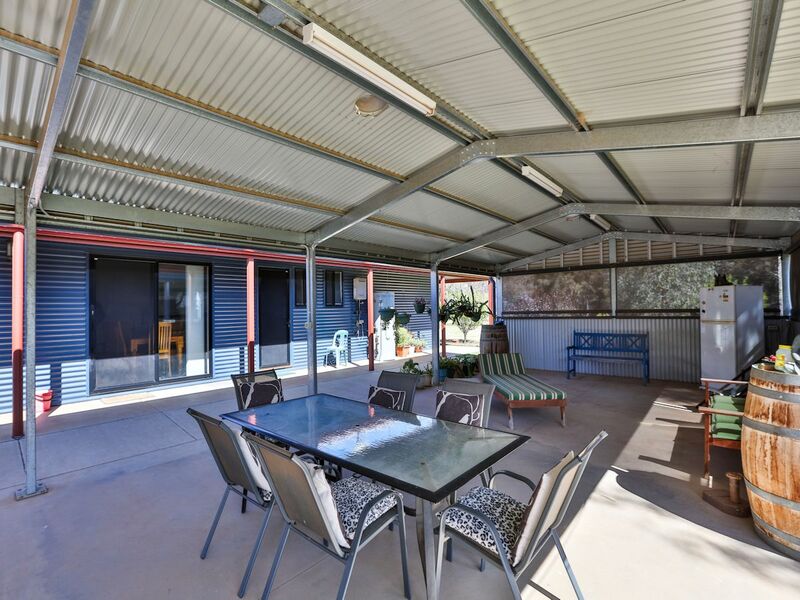 Built by Col Gowers 5 yrs ago and surrounded by beautiful established gardens & lawns, this steel frame home features 3 bedrooms, two separate living zones, huge well-designed kitchen, large bathroom & 2 toilets. 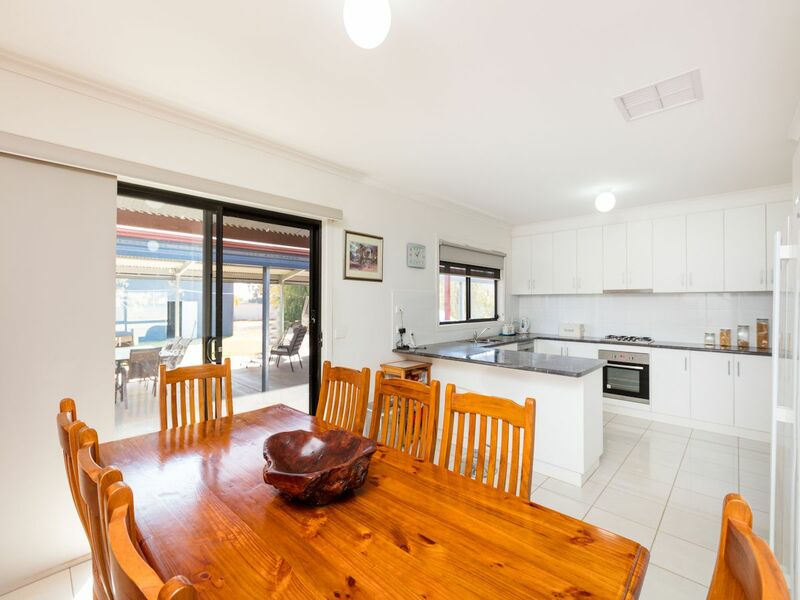 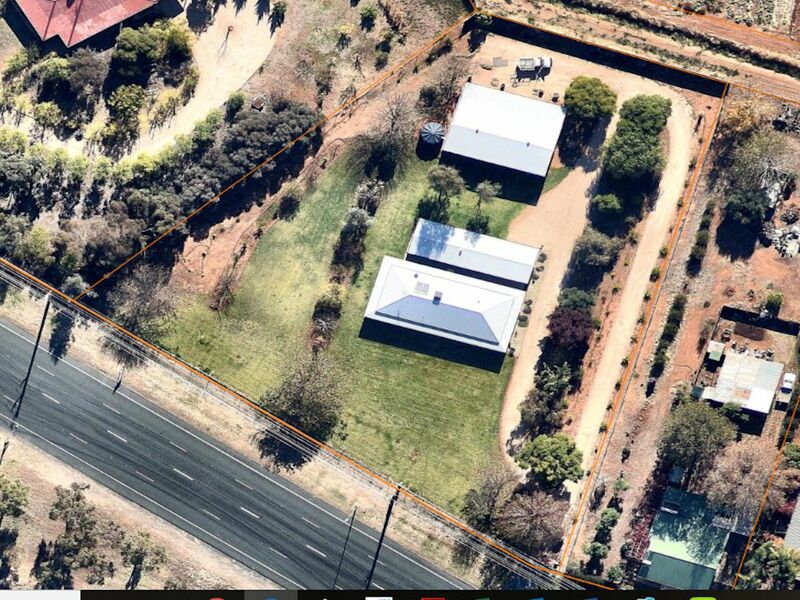 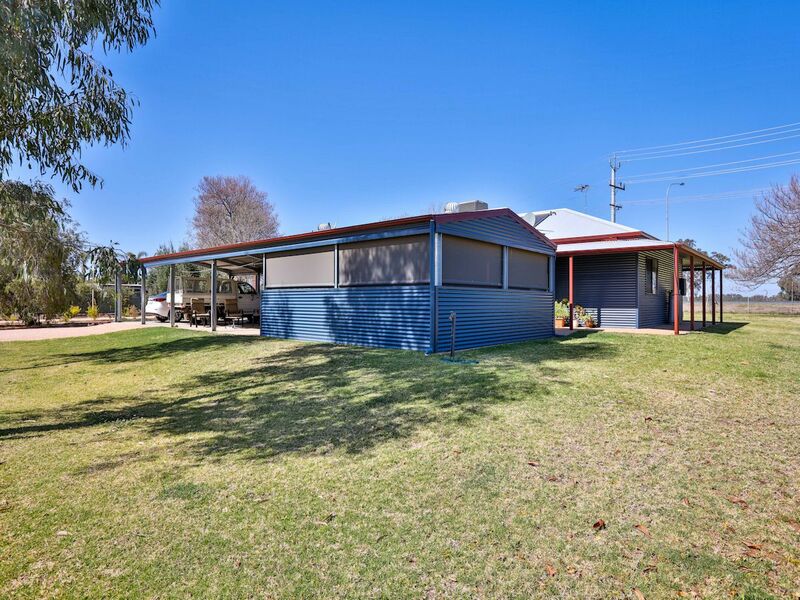 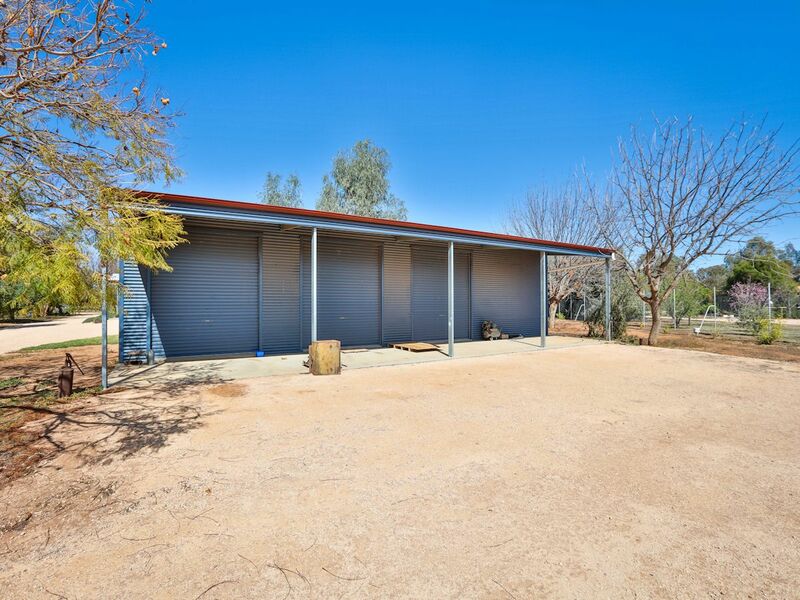 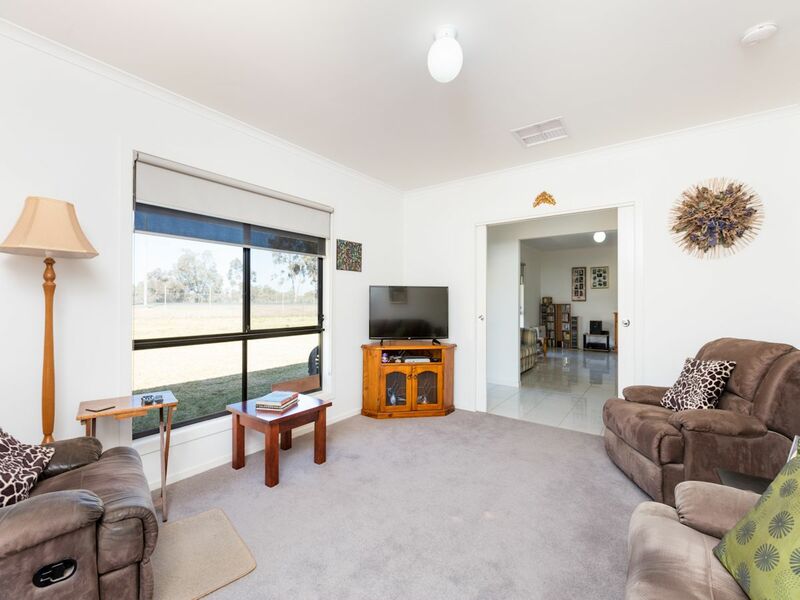 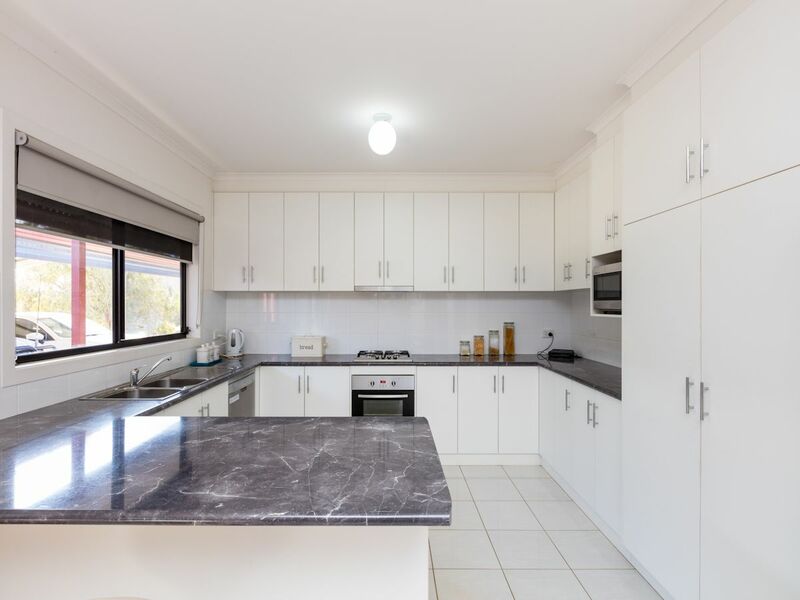 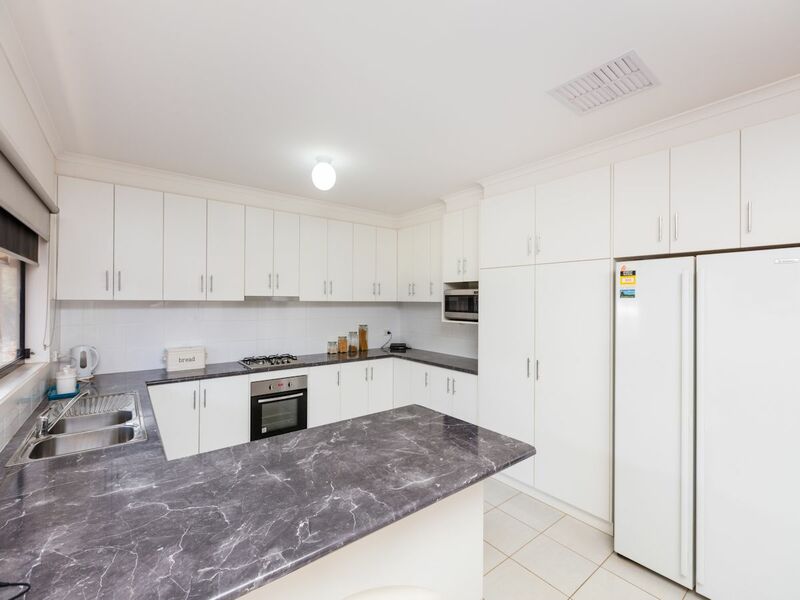 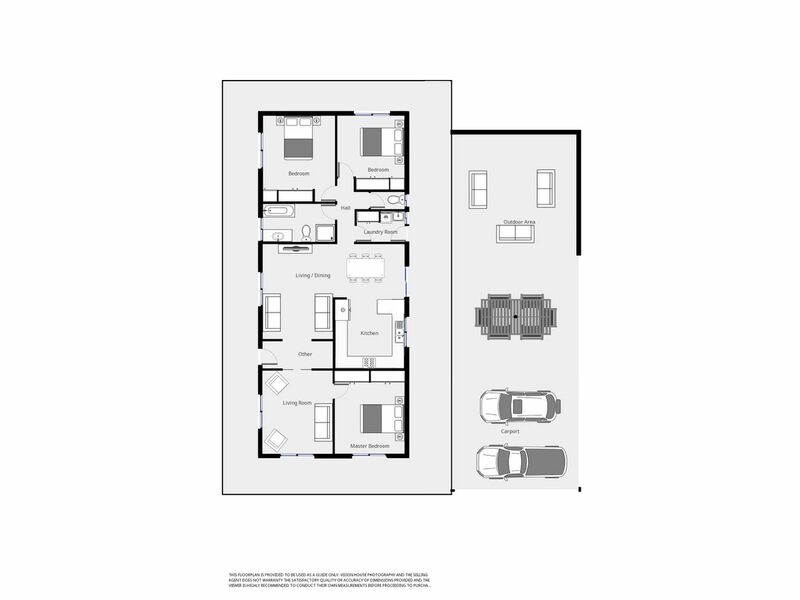 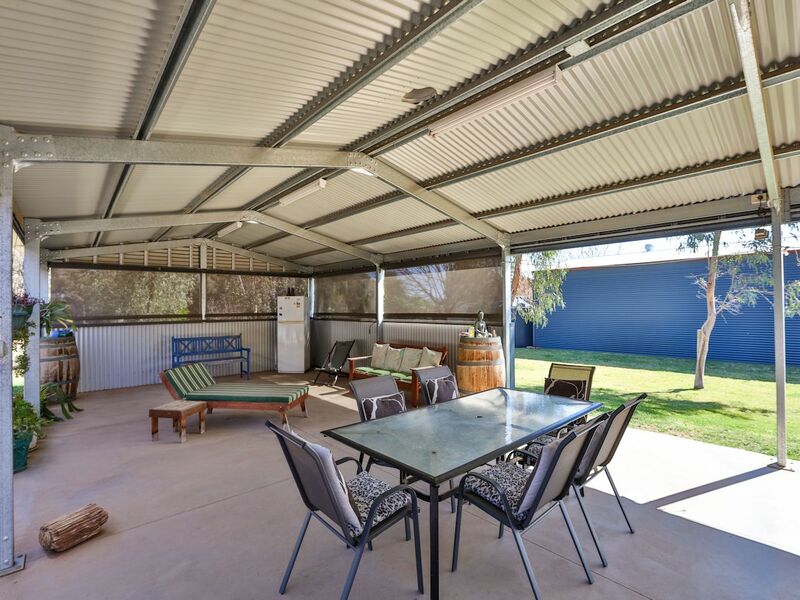 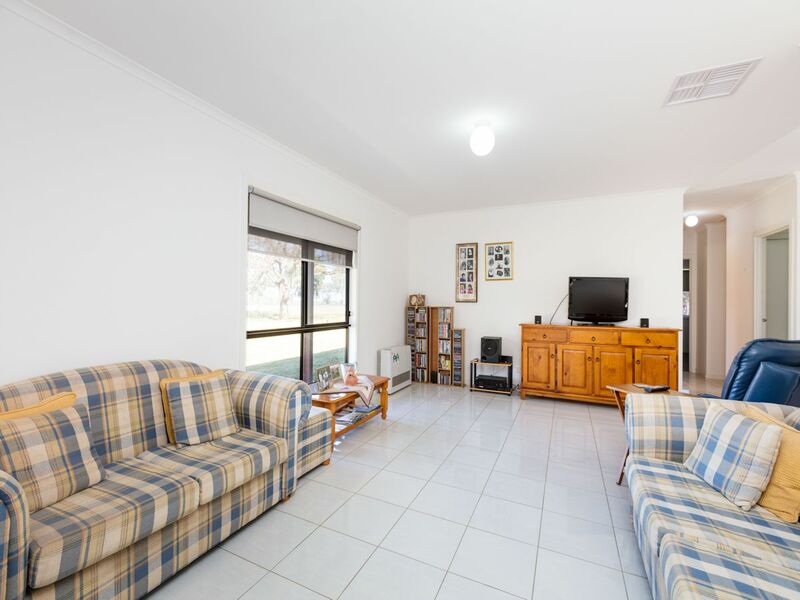 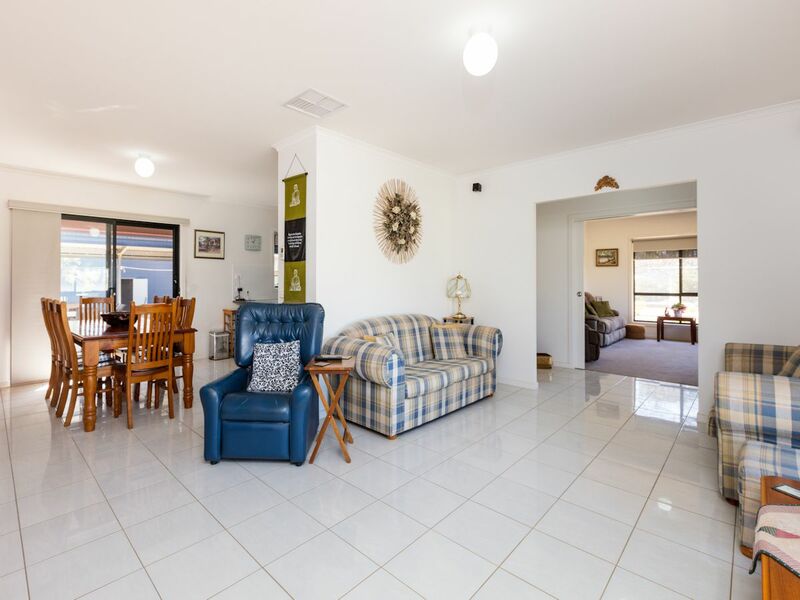 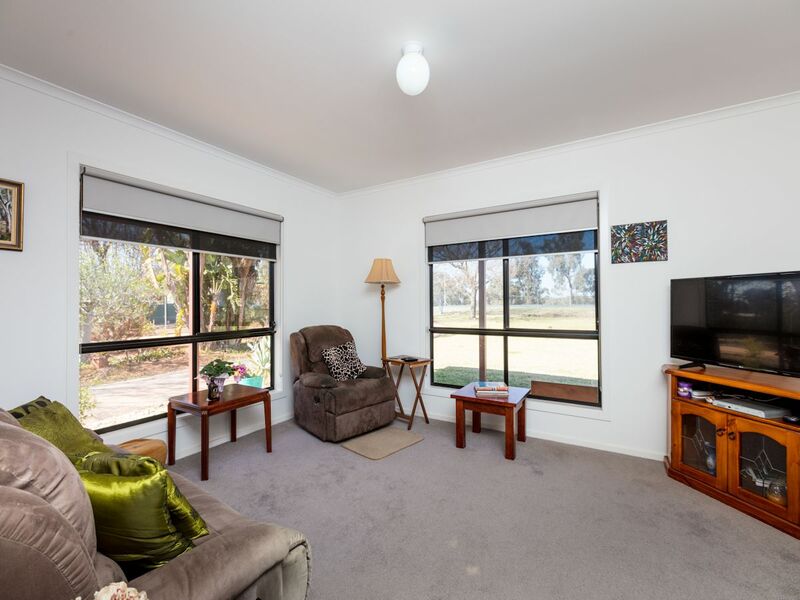 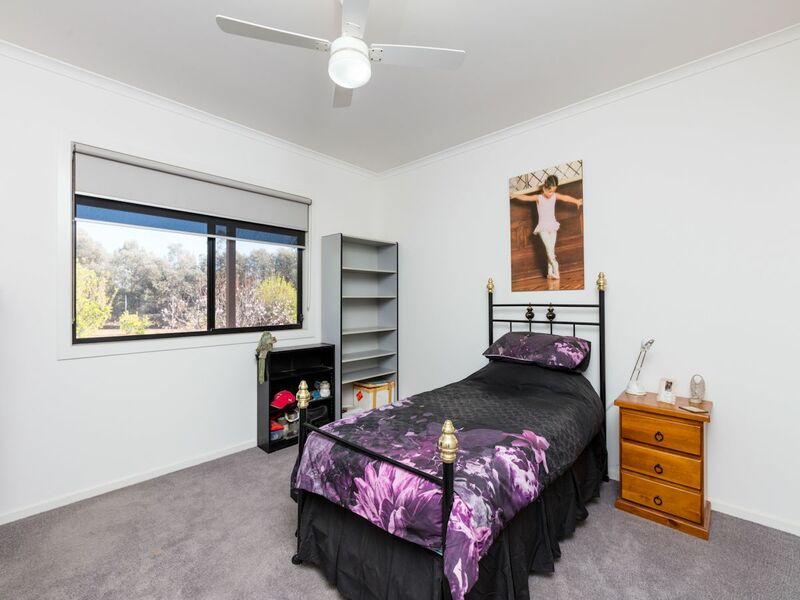 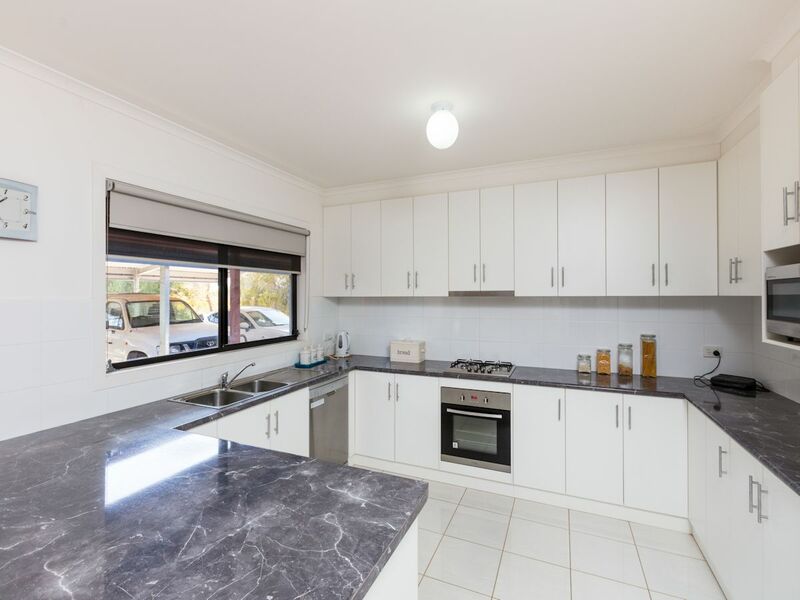 Wide verandahs surround the home & outside features include a huge pitched roof outdoor entertaining area overlooking the expansive yard and massive shed with floor, lights, power, parking bays & auto opening doors. 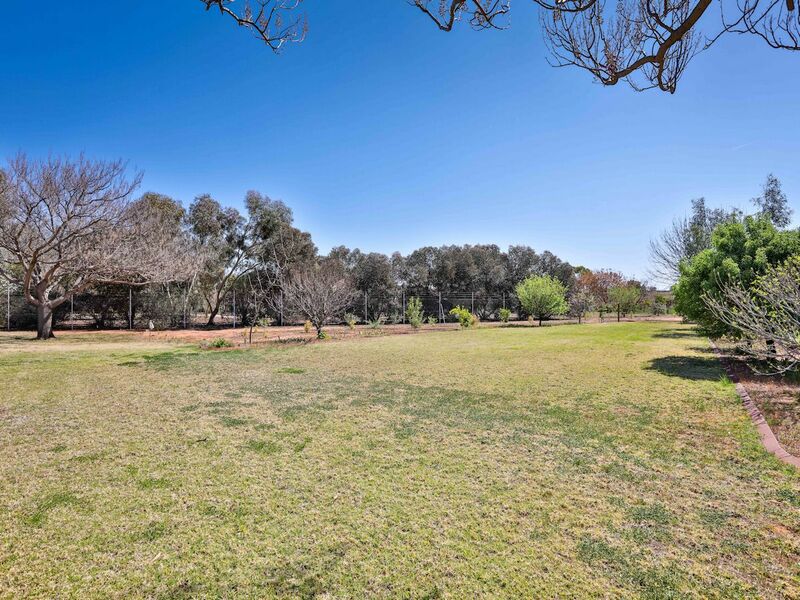 Complete with town water, 3 megs rural water, & rain water storage (w/pump), the property is fenced with auto gates - so you can love the property's peace & quiet or lock-up & travel!